its capabilities. I have been a big fan of the Fiat 500 ever since. Leap-frog ahead about six years and Fiat graciously provided a new 2017 model of the 500c for a week-long test-drive. Available in multiple trim levels I had the Lounge Cabrio. It has a few more options and a little bit higher cost than the base model – and is referred to as a convertible. all in place, but the soft top opens up all the way from front to back. It is a two-door model that includes a second row seating area. However, the second row would normally be much too tight for regular American-sized adults. The test-drive Fiat 500c certainly has distinctive looks and is stylish in its overall appearance. It reminds me of a large toy. The light blue color, known as Celeste Blue is very ‘retro’. The dashboard and door panels on the inside are painted that same retro light blue color with additional color splashes of Ivory. The seats were all Ivory-colored leather bucket seats. The overall mixture of exterior and interior colors, matched up with a very simple instrument panel was pleasing to the eye and added to the overall fun experience of driving the car. it was designed to do. Often, I would slide behind the wheel and reach for a manual gearshift or shove my left foot onto the floor in anticipation of engaging a clutch. A five speed manual transmission is available, but my test-drive model was equipped with a 6-speed automatic. 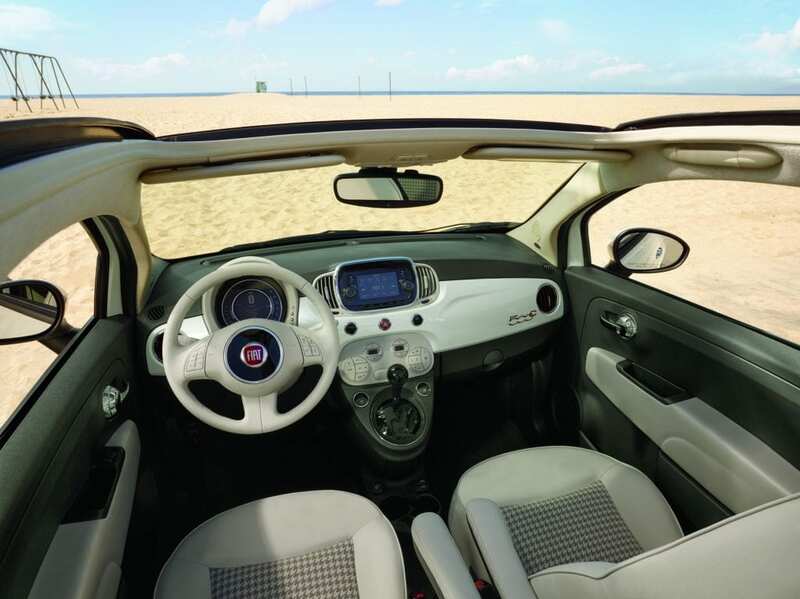 Whether you drive the manual or the automatic, the Fiat 500 can easily negotiate tight parking spaces, but do not expect it to be quick and peppy. The rear seat area is handy for carrying items, especially if you fold the seats down. I surprised myself when I needed to make several stops during a day trip. Two full-size suitcases were loaded, followed shortly after with three 50-lb bags of animal feed. Then, a stop for groceries added almost a basket full of those throw-away plastic bags. There was not a lot of space left after all that, but other than feeling the added weight, the 500c did not have any difficulty in carrying all that cargo. The back seat is very tight for people to actually sit in and very difficult to climb in and out. If the rear seats are not folded down, there is very little space to carry anything in the ‘back’ area except a large purse, briefcase, or a computer bag. 7-inch cluster display, One-touch power windows, automatic dimming rear-view mirror, heated front seats, Halogen projector headlights, outside heated mirrors, and more. A Premium Audio System and GPS navigation were added as options on my test car. The base MSRP for the Fiat 500c with the Lounge trim level and the Cabrio roll-back soft roof was $19,900. The few extras added as well as leather seats, automatic transmission and delivery charges bumped the bottom sticker price to $23,420. The 2017 Fiat 500c was EPA rated for 33 mpg on the highway and 29 mpg overall. For the week, my average measured 29.6 mpg, which fell right in line with the EPA’s measurements. So, what are the pros and cons of the 2017 Fiat 500c? The lineup of models for the Fiat 500 is not confusing. 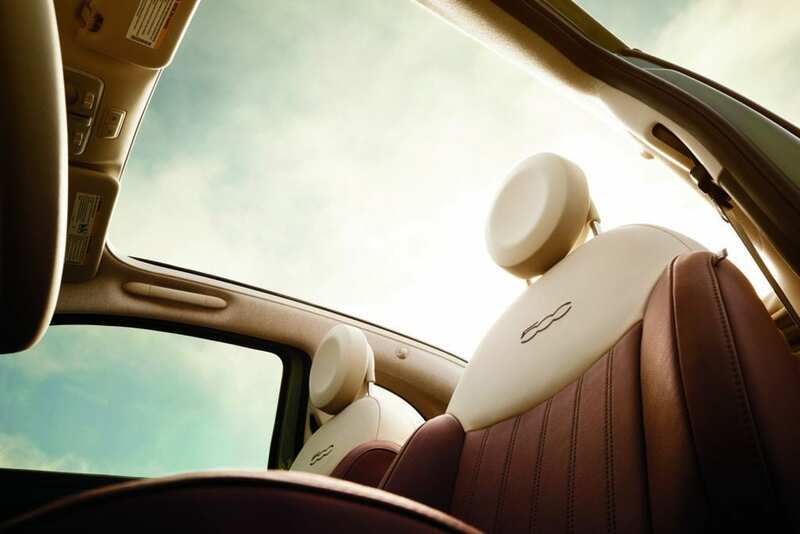 The ‘convertible’ Cabrio gives an open-air drive without a lot of time wrestling with a removable top. The distinctive looks catches the eye of almost everyone. The road-handling is responsive. It is simply a fun-to-drive little car that has personality and character. The cons: the Fiat 500c was occasionally a somewhat bumpy ride, the cabin noise is very noticeable, the cargo area is minimal, and this is more a 2-person car than a 4-person vehicle. Most surprising was that the Fiat 500c did not have a rearview camera. In today’s market, backup cameras are expected and are used extensively, being considered by many drivers as essential as a speedometer, heater, AC, or a radio. 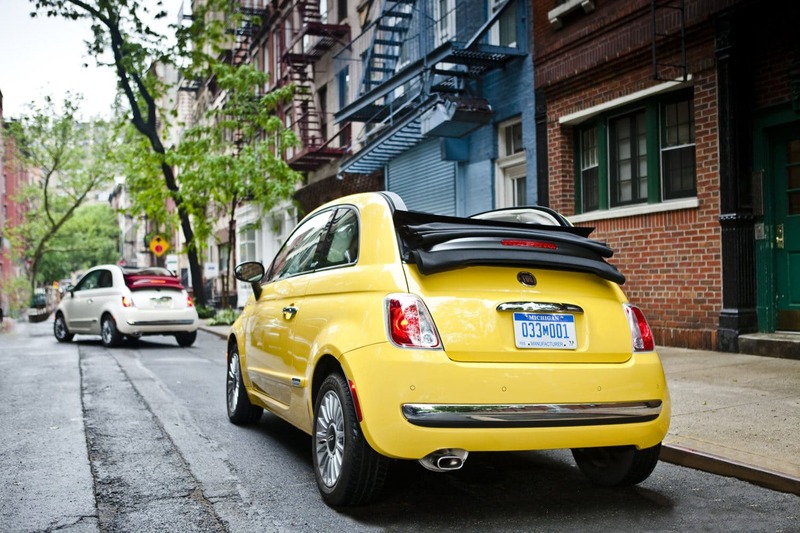 Bottom line: I really, really enjoyed driving the Fiat 500c. It certainly was unique and held a certain ‘charm’. It will not be all things for all drivers. But the funky style just might be the thing that makes you enjoy this special car.